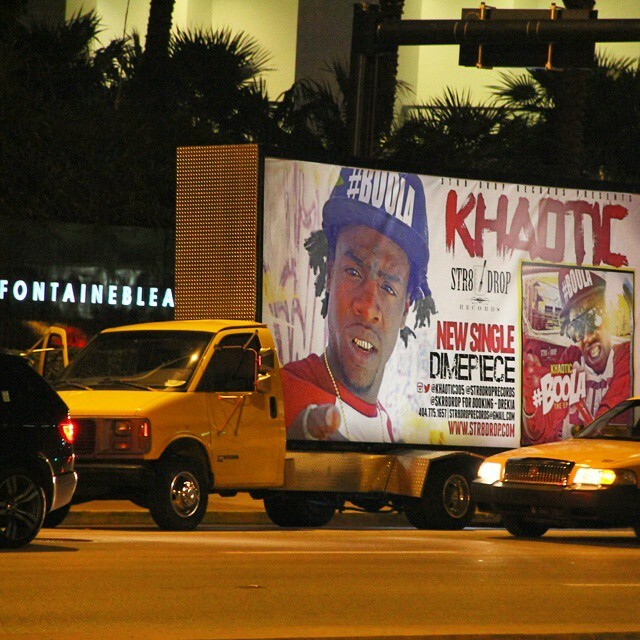 Mobile Billboard Miami had the opportunity of working with independent recording label "Skr8 Drop Records" promotion their artist Khaotic. This billboard run went on for over 6 weeks. Covering Revolt Weekend in South Beach Miami then 480 miles away in Tallahassee, Florida for Florida Agricultural & Mechanical University Homecoming Weekend where we covered several events.